Palm Cove - Announcements - Are you still separating your recyclables? Home » Announcements » Keeping Palm Cove 'Green' » Are you still separating your recyclables? Are you still separating your recyclables? Are you aware that milk and juice cartons, food wrap, blister packages, shrink wrap, throwaway utensils and telephone books are recyclable? Also, milk, water, detergent, shampoo and bleach bottles WITHOUT their caps? Did you know that Styrofoam, plastic bags, light bulbs and plastic that is not numbered are NOT acceptable for recycling? 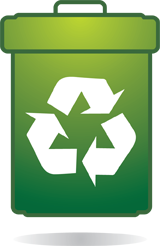 For more information and complete lists of what should and cannot be recycled, click the link below. From your Palm Cove 'Green' Team.